I heard about this idea for using all of those free samples and trial sized items you might get for free or pick up cheap. I had never taken the time to put one together. 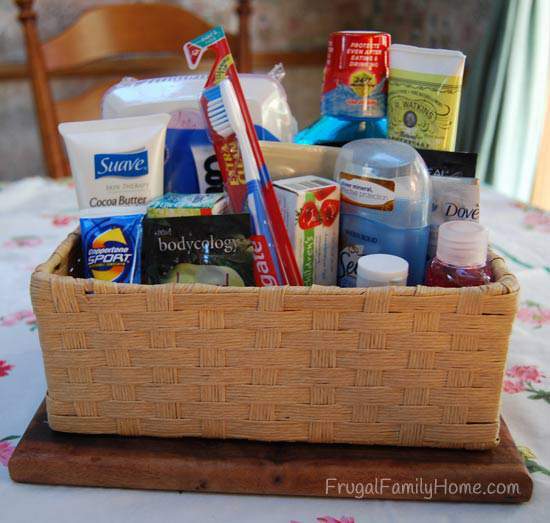 But the idea of having a nice little basket with sample sized products in the guest bathroom or bedroom is such a great idea. So, I made one up for our guests. Who doesn’t forget to pack a toothbrush or deodorant or shampoo once in a while? By having a nice little basket in the guest bedroom or bathroom your guests can just pick and choose what they need without ever having to ask. I made up my basket for less than $5, but if you already have a basket hanging around in a closet in your home and lots of free samples, you could make one up for free. 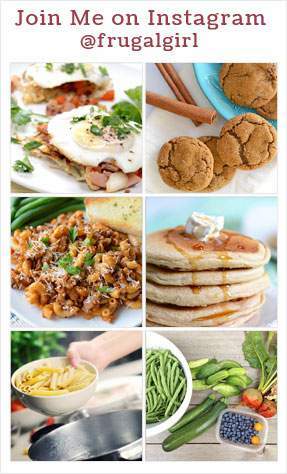 Be sure to check out my posts each Friday for the free samples you can grab to keep your basket filled. I also like to pick up items for free after coupon at Walgreens and Rite Aid. Things like toothpaste and toothbrushes are commonly on sale and after the rewards and coupons, they are free. 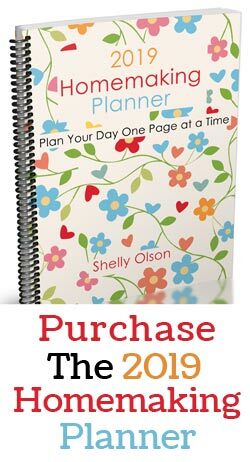 So anytime I see an item I can get for free after coupons and/or rewards I pick them up to add to my guest basket. The dollar stores are also good places to pick up items for your guest basket on the cheap, if you don’t like to coupon. They have nice sized lotions, shampoos, bath products, medicine, toothbrushes and toothpaste. I like to pick up hand sanitizer and lotion each time I shop at a dollar store. 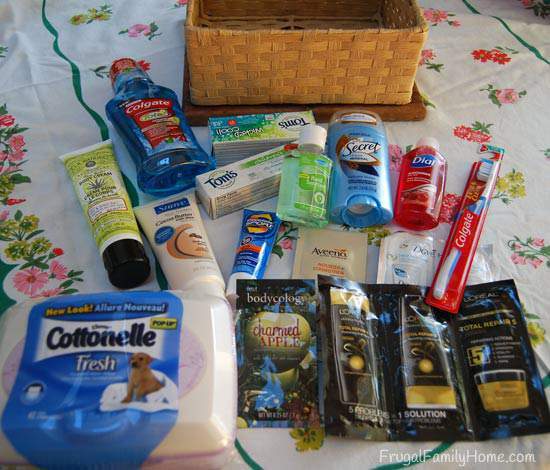 To make up my guest basket I found some of my free samples along with a few other items I picked up for free or almost free after coupons and added them to the basket. Now when my guest forget something they can just help themselves to whatever they need. What do you think? 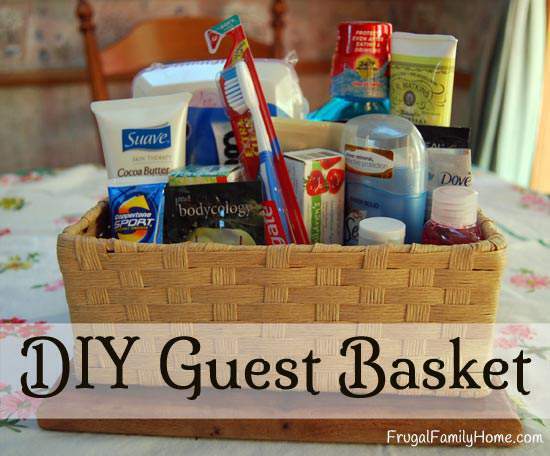 Do you like the idea of having a guest basket or do you already have one? Let me know below in the comments. Also what items would you include for your guests? What a nice surprise that must be for your guests and a wonderful way to make them feel welcome! Our house is too small for guests but this is a great idea!